H: 31.75" W: 55" D: 18.25"
This table features a tempered glass top on rails that connect two pedestals. 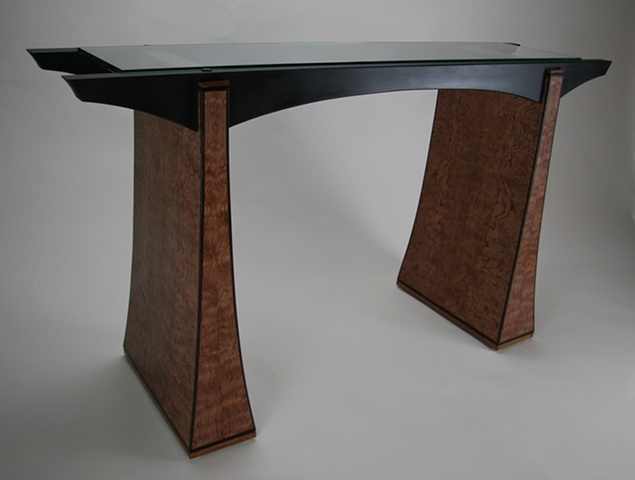 The pedestals have a curved taper on all four sides and they are covered with book matched bubinga veneer. This table is of a size appropriate for an entryway.